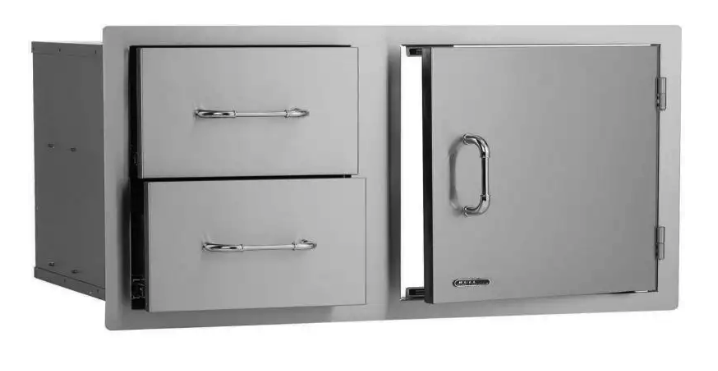 Product Description: Bull 32-Stainless Steel Access Door & Propane Drawer Combo - 65784. This combination of a single access door and a trash/propane drawer, adds a space saving design feature to any island. 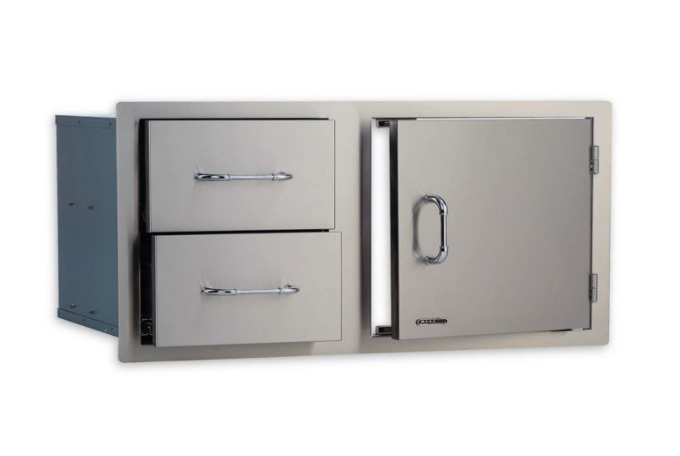 This stainless steel drawer and door combo is meant to integrate into your Bull outdoor BBQ island. 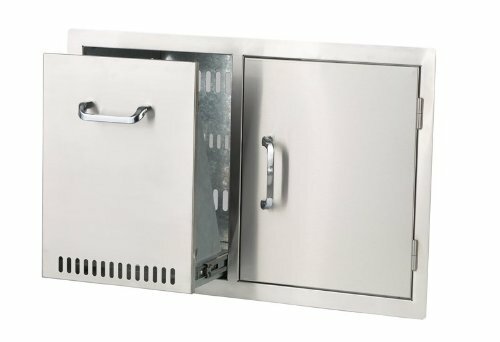 The drawer is designed to conveniently store and hide a propane tank for your gas grill and the door can hide a small trashcan for BBQ leftovers. Bull accessories are guaranteed to make your outdoor entertaining area a complete success.